Welcome to one of the most respected companies of the pharmaceutical industry. A pulsating workplace in a creative environment coupled with a motivated workforce is what defines Unichem Laboratories. At Unichem Laboratories, we believe in exploring new avenues and capturing greater heights, keeping our people at the heart of all action. For us, “The journey of a thousand miles begins with a single step.” In keeping pace with our rapid expansion, we are always looking for talented and self-motivated people to join us in this journey for success. We at Unichem value our people and their need for personal growth. Hence, we continuously strive to provide a platform and resources for career advancement. 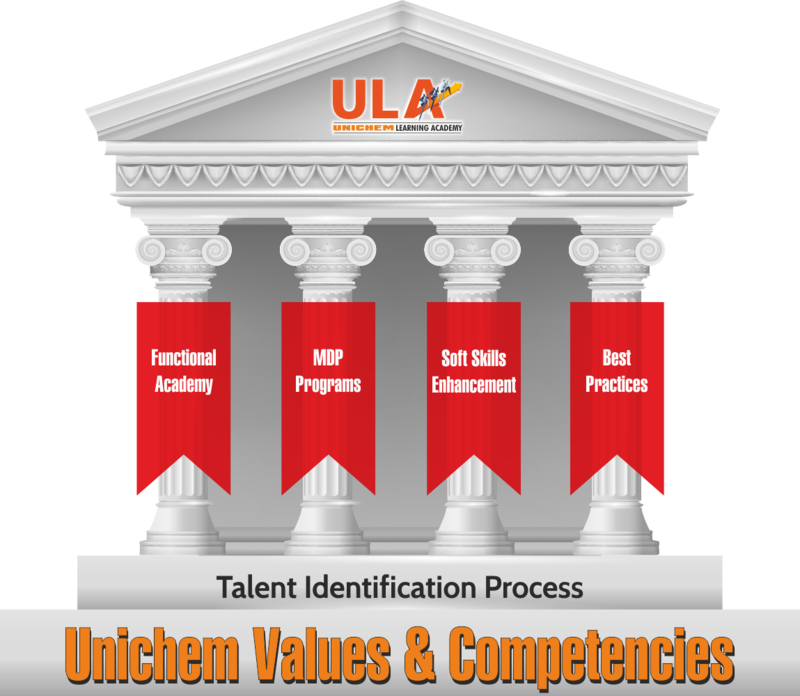 Keeping this need in mind, we have developed Unichem Learning Academy – ULA. This academy and its programs will work towards encouraging and challenging our employees to pursue higher levels of skills and knowledge and eventually take on bigger responsibilities. Functional Academy – Training related to the specific function, the employee is working in. E.g.- Sales, Production, QA, QC, R&D, etc. Unichem MDP Program – Programs which enhance knowledge & competencies through long term executive education imparted by premier institutes. Soft Skills Enhancement – Training related to the aspects which will help an individual /teams to participate efficiently in business and cross functional operations. Best Practices – Learning and sharing of best practices available within Unichem and industry. Unichem Learning Academy (ULA) represents Unichem’s commitment to build a learning organisation. If you’re looking for an internship, a graduate opportunity, or seeking your next career move as an experienced professional, you’ll find a range of opportunities to be part of an organisation that helps millions of people around the world to do more, feel better, live longer. Didn’t find the opening you were looking for…Post your CV here & we will get back to you.